Still life artist Ken McKie is renowned for his ability to effortlessly reveal the beauty of simple everyday objects. With a background in illustration, it is no small wonder that McKie is capable of animating his still life paintings with such ease and competency. Ken now concentrates on painting full time, bringing a lifetime of observation, understanding and skill to his work. 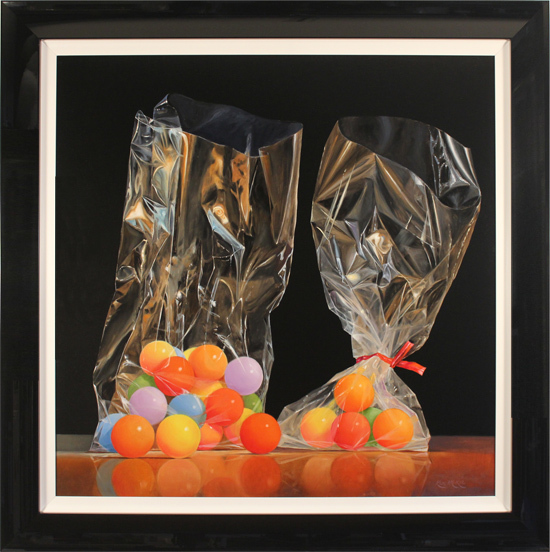 Ken McKie's still life paintings are widely exhibited and collected across the country, and make strong statement pieces for any collection. Read the full Ken McKie biography.